BLOOMINGTON, Minn. – March 19, 2019 – Prior to its 2019 championship game, the Men's League of the Western Collegiate Hockey Association today recognizes and applauds six of its standout individual performances. 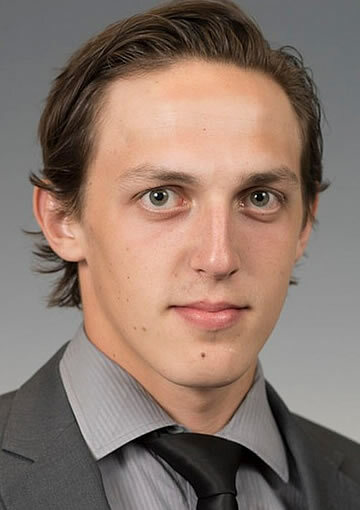 Below are the 2018-19 Offensive Player, Defenseman, Goaltender, Rookie of the Year, Outstanding Student-Athlete and Coach of the Year, as announced by WCHA President and Men's League Commissioner Bill Robertson. "Congratulations to all of our WCHA individual award winners," Robertson said. "This has been another standout season for the WCHA with four 20-win teams and a number of individual accomplishments. To be recognized as the best of the best in the WCHA is a tremendous honor and we are proud to applaud their stellar seasons." The Offensive Player, Defenseman, Goaltender and Rookie of the Year are now candidates for the overall 2018-19 WCHA Player of the Year award, which will be announced on Thursday, March 21. 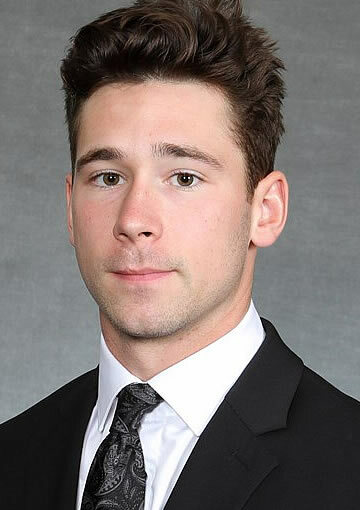 Northern Michigan senior Troy Loggins was the WCHA scoring champion this season with 32 points on a league-high 20 goals and 12 assists in 28 league games. He finished his final season with the Wildcats with 40 points on 23 goals and 17 assists in 39 contests as the Wildcats finished second in the WCHA and reached the semifinals of the league's postseason playoffs. Loggins led the WCHA and shared the national lead in power play goals (10) and shorthanded goals (three) this season while his 23 goals scored tied for second nationally. He led the country in shots on goal with 155. The Huntington Beach, Calif., native was a two-time First Team All-WCHA selection during his career in Marquette (2018, 2019) and this season was a two-time WCHA Forward of the Week honoree. Northern Michigan's Philip Beaulieu finished conference play this season with a league-best 22 assists along with six goals for the Wildcats. His 28 points in WCHA play led all league blueliners. The Duluth, Minn., native finished the season with 35 points on six goals and 29 assists in 39 total games. He earned All-WCHA honors for the second time in his career this year and was a three-time WCHA Defenseman of the Week honoree. Beaulieu recorded his first career hat trick this season with a three-goal effort in a 4-2 win at Alaska on Jan. 4. In 120 games over three seasons, Beaulieu has 96 points on 20 goals and 76 assists and stands at a +23 for his career. A four-year All-League honoree, Atte Tolvanen has earned Goaltender of the Year and First Team All-WCHA honors for the second year in a row after leading the WCHA in wins (18), shutouts (five), saves (699) and shots faced (754) in league play this season. The Vihti, Finland, native ended his stellar Wildcat career as NMU's all-time leader in shutouts (13), games played (137) and saves (3,564). He also holds the school single-game record for saves with 58. 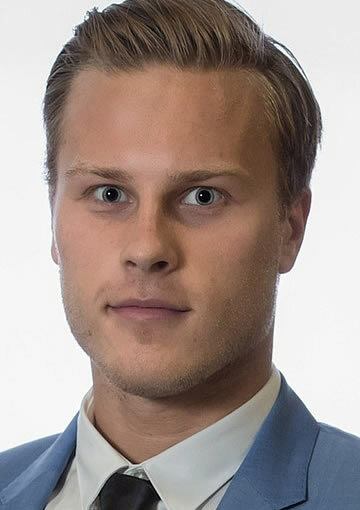 Tolvanen also earned national notoriety in November when he became just the fourth goaltender in NCAA history to score a goal off of his own shot when he fired the puck the length of the ice to score on an empty net in a 5-3 win over Michigan Tech. Ferris State's Cooper Zech made an immediate impact on the Bulldogs and the WCHA in his debut season in Big Rapids. The South Lyon, Mich., native led all WCHA rookies in scoring in league games (24 points) and all games (28 points) this season and became the first freshman to lead Ferris State in scoring in 31 years this season. His 28 points and 0.78 points per game led all freshmen blueliners in the NCAA in 2018-19 and his point total ranked fifth nationally among all NCAA rookies. The WCHA Preseason Rookie of the Year, he is just the second Bulldog to earn preseason and postseason newcomer honors in program history. Zech earned WCHA Rookie of the Month honors in December and was a three-time Rookie of the Week honoree this year. 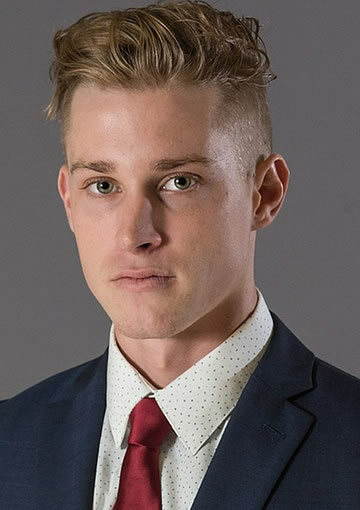 On March 12, Zech became the fourth member of Ferris State's 2018-19 team to begin his professional hockey career when he inked a deal with the Providence Bruins. 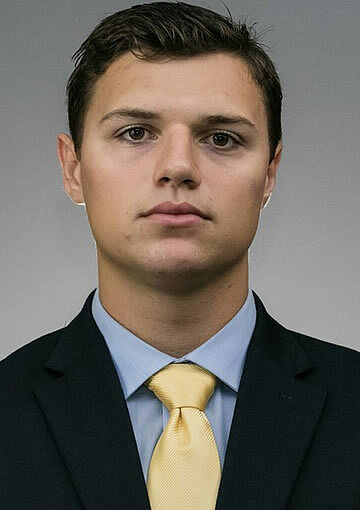 A two-year team captain, Max Coatta has been a member of three regular-season WCHA championship teams at Minnesota State. In 146 career games, the Minnetonka, Minn., native has scored 51 points on 24 goals and 27 assists. This season he has played in 31 games, contributing eight goals and six assists to the Maverick offensive attack for 14 points. He is a two-time recipient of the Maverick's Hardest Worker Award. Off the ice, he has volunteered for the Kiwanis Holiday Light set up for four years, helped set up and participated in Trick or Treat with the Mavericks and helped with youth hockey camps for the past three summers. He has been the Men's Hockey SAAC representative for two years. Coatta will graduate this spring with a 3.91/4.00 GPA with a degree in Psychology and a Sociology minor. He is a three time Academic All-WCHA honoree and a three time WCHA Scholar-Athlete Award winner. Coatta joins Steve Johns (2004-05) and Joel Hanson (2007-08) as the third Minnesota State Student-Athlete of the Year honoree. Minnesota State's Mike Hastings led the Mavericks to their fourth WCHA regular championship in his seven seasons in Mankato this year and has the MSU in the WCHA Championship Game for the fourth time in his tenure with the program. Under Hastings' guidance, Minnesota State is 182-79-21 over the last seven seasons. The 182 wins are the most by any program in college hockey over that span. At 31-7-2, the Mavericks have set a new school record for victories in a season and lead the nation in wins in the 2018-19 campaign. They have also reached the 20-win mark for the seventh consecutive season under Hastings. Currently sitting at No. 3 in the Pairwise rankings, MSU is on the verge of its fifth NCAA playoff appearance in the last seven years. Statistically, the Mavericks lead the nation in power play goals (44), goal margin (+73) and GAA (1.70) this season. The 2018-19 Mavericks also led the WCHA with seven All-League selections and ranked second in the WCHA with 17 All-Academic honorees. This is Hastings' third WCHA Coach of the Year honor. The 2018-19 WCHA Offensive Player and Defenseman of the Year were chosen from the All-WCHA First Team forwards and blueliners, respectively. The Goaltender of the Year is the first-team All-WCHA netminder, while the Rookie of the Year was selected from the All-WCHA Rookie Team. WCHA Men's League member team head coaches vote for the All-WCHA Teams, and then again for these awards. WCHA-member institution Faculty Athletic Representatives nominate and vote for the Student-Athlete of the Year. The Western Collegiate Hockey Association, among the most historic, tradition-rich and successful conferences in all of collegiate athletics, is proudly marking its 67th season of men's competition in 2018-19. The 10-team NCAA Division I conference consists of the University of Alabama in Huntsville (Chargers), the University of Alaska Anchorage (Seawolves), the University of Alaska Fairbanks (Nanooks), Bemidji State University (Beavers), Bowling Green State University (Falcons), Ferris State University (Bulldogs), Lake Superior State University (Lakers), Michigan Technological University (Huskies), Minnesota State University (Mavericks) and Northern Michigan University (Wildcats). For more information, visit wcha.com.